Richichi was taking a jewelry elective class at Syracuse University when she was challenged to make a ring out of anything she could find. Ingenuity is integral to business, as any lady boss knows, and this was just the start for Richichi. She’s since grown Jo Jo Rings into a nationwide business garnering shout-outs from the likes of E News and British Vogue. Better still, she’s used the company to give back since day one, donating $5 for every purchase to a charity partner and coining the hashtag #keysforchange. What is your favorite part of being an entrepreneur? As an entrepreneur, I love being able to connect with so many different types of people-- customers, mentors, coworkers, community leaders, and so much more! I also love learning and working with other entrepreneurs. We understand each other’s challenges, learn from one another, and make lifelong friends that go far beyond business. A large push came from my husband. He is an entrepreneur and helped me see that my ideas could positively impact the world.My company is also largely a reflection of my late-grandmother. I made the first JoJo Rings from keys to her house after she passed away. They were very special keys to me. I then realized that there were millions of people out there with the same connection. I had to start the business! Grind. I think people largely underestimate what it takes to be an entrepreneur. You have to wear so many hats and solve a new problem every single day. Building something out of nothing is an incredibly difficult task, so I focus on taking everything day-by-day and remember that the grind never stops. “Know what your brand is and stick to it”. You will get opinions from so many people about how to run your business, but stay true to your beliefs of the company’s core values. That’s what will make it grow successfully. Another one of my favorite quotes of advice “If it was easy, everyone would do it.” With 4 years of entrepreneurship under my belt, not many things scare me anymore, but I’m a big believer in "positive vibes”! What would you do with one extra hour in the day? I would probably spend the extra hour at the beach. My husband and I love walking the beach at sunset, but only get the chance to do it once every week or two. It's a great place to relax and disconnect from our phones and work. What do you love to come home to? A clean apartment, my husband, and a finished to-do list for the next days work. Name a women entrepreneur past or present you admire, and tell us why. Someone I really admire is Dana Pollack of Dana’s Bakery. I have a huge girl-crush on her! She has made an empire selling macarons. She found a market that wasn’t being tapped and took advantage of it. I feel like we have many similarities– She went to school for photography and used her expertise in that to help grow her brand into what it is today. I went to school for graphic design and can manage all the design and branding aspects on my own which is a huge help! This year, her company made the Inc. 5000 list of America’s Fastest Growing Private Companies. She’s killing it! She also has the cutest little girl—go follow her on instagram! What would you say are the top 3 skills needed to be a successful business owner? I am a HUGE Tommy Hilfiger fan. I read his biography American Dreamer last year and it was so inspiring. In the beginning of his career, he really struggled, just like any entrepreneur, and it’s refreshing to hear that someone so big had some faults along the way during his career. When you’re not working, what is your favorite way to spend your free time? My husband and I love to walk the Battery and along the side streets in downtown Charleston. This city is so beautiful– I love being able to just take it all in. 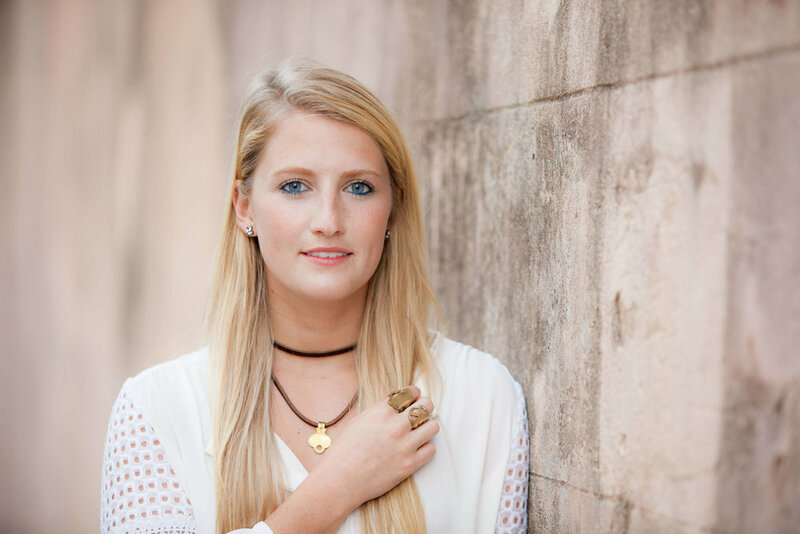 Jordan Richichi is the founder and CEO of JoJo Rings. She graduated from Syracuse University in 2015 and moved to Charleston in 2016. Her company handcrafts rings and wraps from recycled keys. Founded with the community in mind, JoJo Rings operates under three guiding principles: sustainability, individuality, and social good. Their tagline “Keys for Change” illustrates their commitment to philanthropy. With each sale, JoJo Rings makes a donation to a different nonprofit. Jordan has grown JoJo Rings to nearly 300 stores across 30 states. To date, the company has donated over $50,000 to charity and upclycled 2,400 pounds of keys. Year End is Almost Here - Are You Ready?